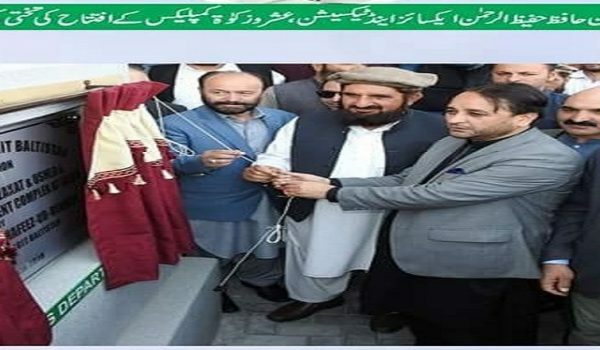 CM Gilgit Baltistan, Hafiz Hafeez -ur- Rehman has inaugurated the New Excise & Taxation, Z&T & Coptive Societies Complex Building here at Jutial Gilgit. 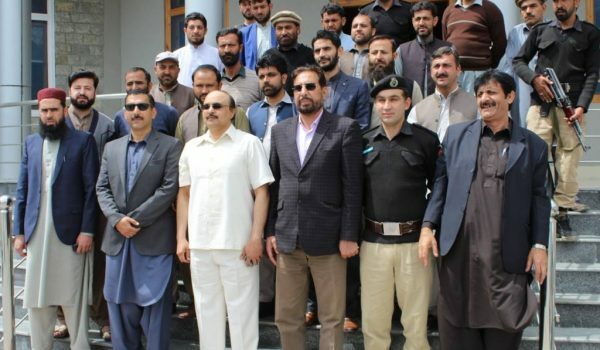 Gilgit: A special ceremony was held here at Jutial Gilgit for formal inauguration of newly constructed building of Excise & Taxation, Zakat & Usher & Cooperative Socities Complex. 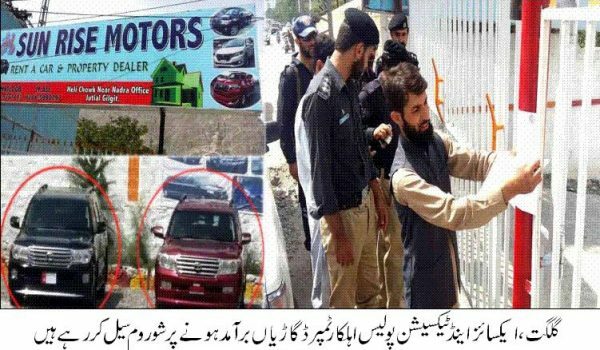 CM Gilgit Baltistan Hafiz Hafeez -ur- Rehman was the Cheif Guest at this occasion. 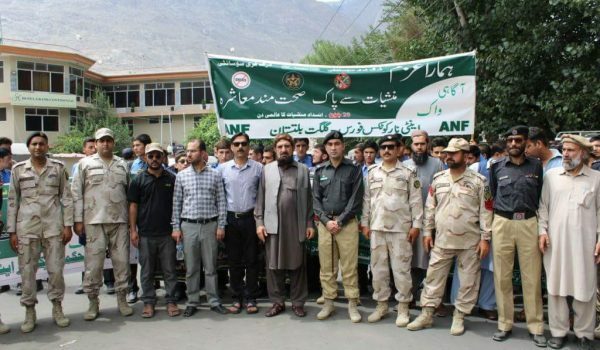 The event was attained by Provisional Cabinet Member’s including Minister Works Dr Iqbal, Minister Local Govt Mr Farman Ali, Minister Tourism Miss Sobia Muqqadam, Minister Excise Mr Haider Khan, Deputy Speaker GBLA Mr Jafarullah Khan and Secretaries of Works, Services and other high official’s of various Govt Departments of Gilgit Baltistan. 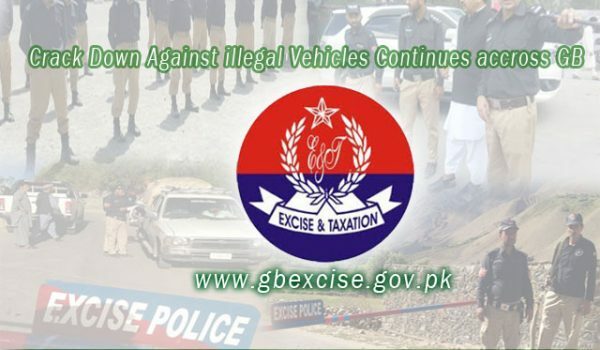 At this occasion, Secretary Excise & Taxation GB Mr Tariq Hussain gave a detail briefing on overall performance, issues & challanges facing out by the department. 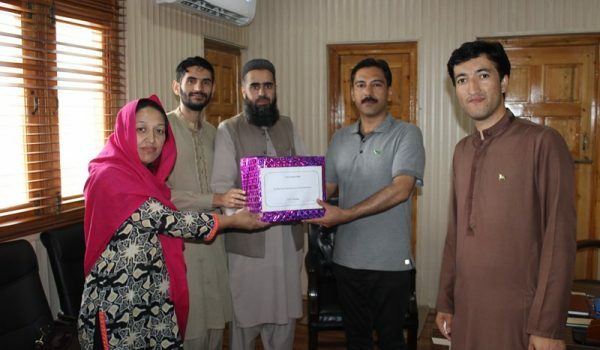 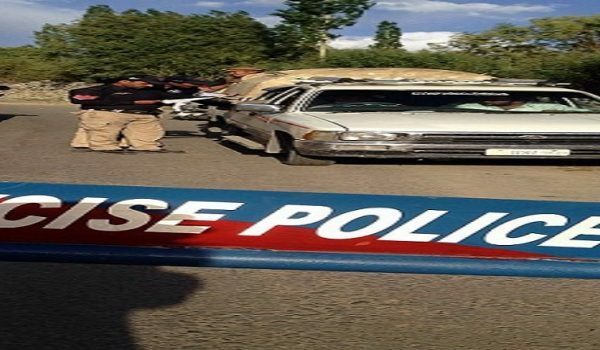 CM Gilgit Baltistan appreciated the so far progress of the department and promised to address all issues being faced by department while implemention of relevant rules and law’s in Gilgit Baltistan.